Like any great sports team, today’s savvy recruiters are on a mission to better identify the most skilled and talented people. And also like any great sports team, recruiters should now look to the numbers to pinpoint their A-team of talent. 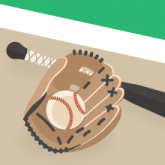 A data-driven approach to decision-making can churn impressive results, as Oakland Athletics General Manager Billy Beane, of Moneyball fame, knows well. Beane used rigorous statistical analysis of past results (player stats) to predict future performance, a tactic that got his A’s to a series of consecutive playoff appearances. His approach is a natural fit for the world of recruiting, where there’s sometimes a tendency to fall back on “instinctual” or “gut-based” decision-making, but where achieving bottom line results is just as paramount. Data-driven recruiting has the potential to deliver enormous success. It’s predicted that by the year 2021, hiring success will increase by more than 300 percent thanks to the use of data in the hiring process. Companies that already take a data-driven approach to recruiting are seeing that success. For example, LinkedIn found that when talent acquisition teams used data to hire, they were two times as likely to improve their recruiting, and three times more likely to improve efficiency. Let’s take a look at some of the specific ways you can use data to optimize your recruiting strategy. To create a candidate pool of true talent, take a look at where the best employees you have today were sourced. Through your recruiting software’s reporting and metrics capabilities, run reports on things like job board effectiveness, to determine where you should really be spending your recruiting advertising dollars. In turn, maximize your return on investment and build a pipeline of qualified talent faster. To get even more specific, you could break out the data by department or job role for a more tailored sourcing approach. You can also measure the impact of your recruitment marketing materials. Collect data points on candidate click-through and open rates for your emails and newsletters, monitor engagement activity on your social platforms, or quantify traffic on your passive candidate career sites. These numbers can shape the type of branding and messaging you showcase, ensuring that only the most effective are used. Not all of your data has to come from within your recruiting system. You could also use available data on job seeker trends, the economy, and application rates in your area, to further inform your recruiting strategy. iCIMS’ U.S. Hiring Trends Reports offer up these exact types of labor statistics. Knowing there are more applicants than positions in your region can shed light on predicted job seeker behavior, and influence where and how you choose to invest your recruiting efforts. You can also use data to increase recruiting efficiency, so you can fill jobs faster, for less expense. Through your software, run diagnostic reports on all parts of the recruiting process to uncover weak spots or reaffirm what seems to be working well. For example, you might find that hiring manager approval is the longest part of your recruiting process (that’s actually the case for more than 1/3 of companies), and decide to focus efforts on cutting that time down. Data can also give insight into individual recruiter performance, including how many positions they successfully filled each month, how many interviews were conducted, or how long it took to fill each position. One of the best benefits of using data to recruit is that it gives HR departments the ability to present company leadership with tangible, concrete evidence of how they’re contributing to the success of the business. When HR’s contributions (things like decreasing cost per hire or filling positions faster than expected) can be recognized, they’re more likely to get the resources they need to continue to optimize their efforts. The potential for data to transform your recruiting may be huge, but a survey from Software Advice reports that only thirty-seven percent of small companies and twenty-seven percent of medium-sized companies say they currently use data analytics to recruit. Now’s the time to step up to the plate and change that. If you’re interested in learning more about ways to optimize your recruiting strategy, be sure to check out another Hiring Insights article, 5 Daily Habits of Highly Successful Recruiters.